It all started with a cruise. Trey (’05 journalism & mass communication) and Becah (’05 chemical engineering) Fliehs discovered that they loved to travel – especially when the travel took them to the Caribbean islands. After they graduated from Iowa State, they began a tradition of taking cruises to the islands each January. On the first one, in 2006, they traveled with a group of more than 30 people and determined that they needed a name. Every year, the “Team Cocktail” group got bigger and bigger. “Everywhere we went, people wanted to know how they could become a member of Team Cocktail,” Trey said. A few years ago, the couple was on Barbados, looking at T-shirts and lamenting the quality. Becah and Trey – along with Trey’s sister, Lyndsey Fliehs Higgins (’02 marketing and management) – decided to take Team Cocktail to the masses. With a logo design and trademark, the company launched a website in 2010. Today, Team Cocktail offers Caribbean-based T-shirts, polo shirts, board shorts, and accessories online, in retail shops in 25 states, and on several islands. They also sell merchandise at country music concerts and festivals. The company has recently branched out to offer special cruise packages, excursions, and beach getaways. The island lifestyle is in direct contrast to Trey and Becah’s day-to-day lives in Groton, S.D. 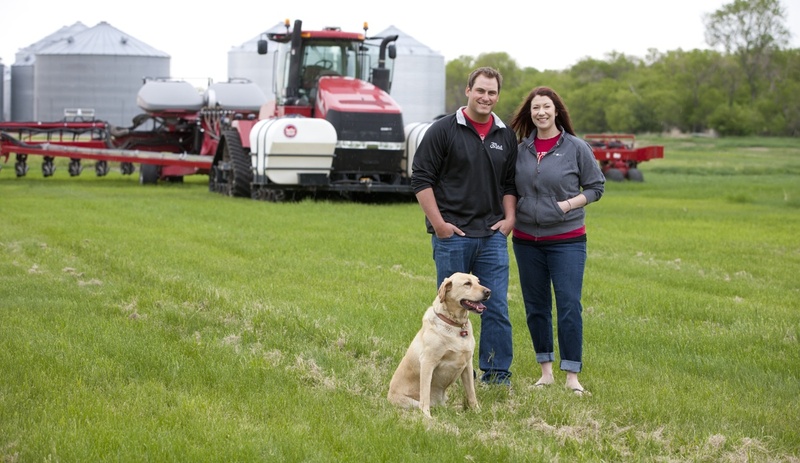 Trey is a third-generation farmer, working alongside his father and grandfather on a 10,000-acre corn and soybean farm in the northeast part of the state. Becah is a technical manager at the POET ethanol plant down the road and is also active on the farm. All the corn grown on the farm is sold to the ethanol plant. 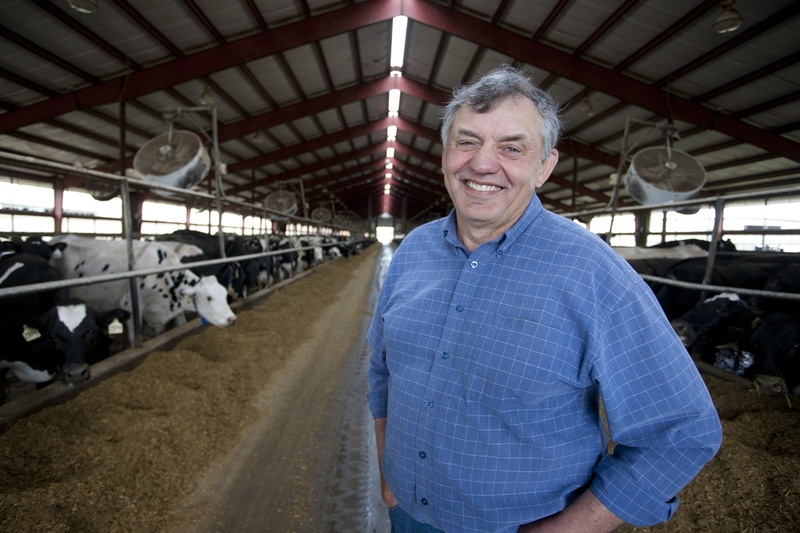 “We represent the next generation of farmers who break the traditional mold of how people view the career,” Becah said. 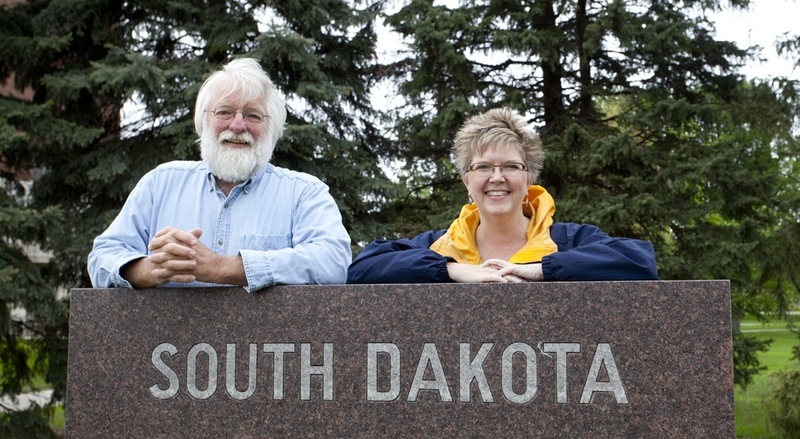 Though South Dakota has a reputation for being located in “blizzard alley,” Trey and Becah agree that the state is “quiet, calm, and beautiful.” And, at least, it’s not as cold as its northern neighbor. “We’re the tropical Dakota,” Becah laughs. Thirty-six states are now complete, with just 14 more to go. Jim and I recently returned from North Dakota and South Dakota – yes, they are two separate states, even though I find myself referring to them as “The Dakotas” more often than not. We met with Iowa State alumni only on the far eastern side of the states (so close to Minnesota it almost felt like cheating) because, well, that’s where they live. We didn’t get to travel to the wild-west part of either state, which was sort of disappointing. But then again, we didn’t have to compete with family vacationers in their slow-moving recreational vehicles at Badlands National Park, Mount Rushmore, Theodore Roosevelt National Park – or even Wall Drug. Our first destination was Fargo, N.D. It’s really hard to go to Fargo and NOT think about the hilarious 1996 Coen brothers’ movie of the same name, even though the film was actually set in Minnesota. Despite its reputation for brutal winter weather, Fargo is a very nice city with a cool, historic downtown area. It’s also home to North Dakota State University. 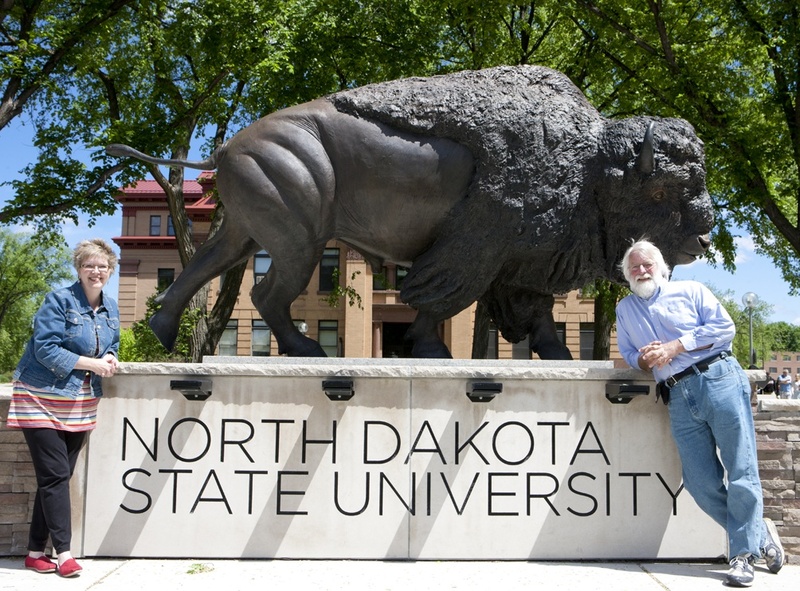 Jim and I took a quick drive around the campus and had our picture taken in front of the big bison sculpture before getting down to business. 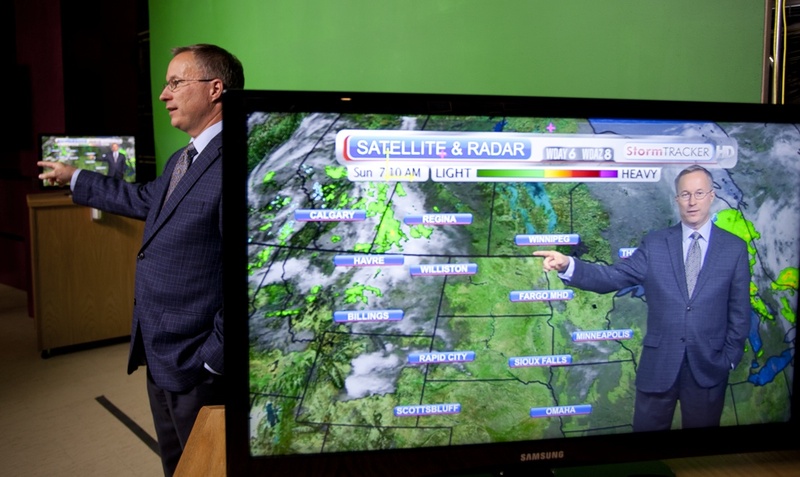 We met first with John Wheeler (’84 meteorology), well known in the area as a television meteorologist for ABC-affiliate WDAY-TV since 1985. I get the feeling that if you want to know what the day’s weather is going to bring in Fargo, you check with John. 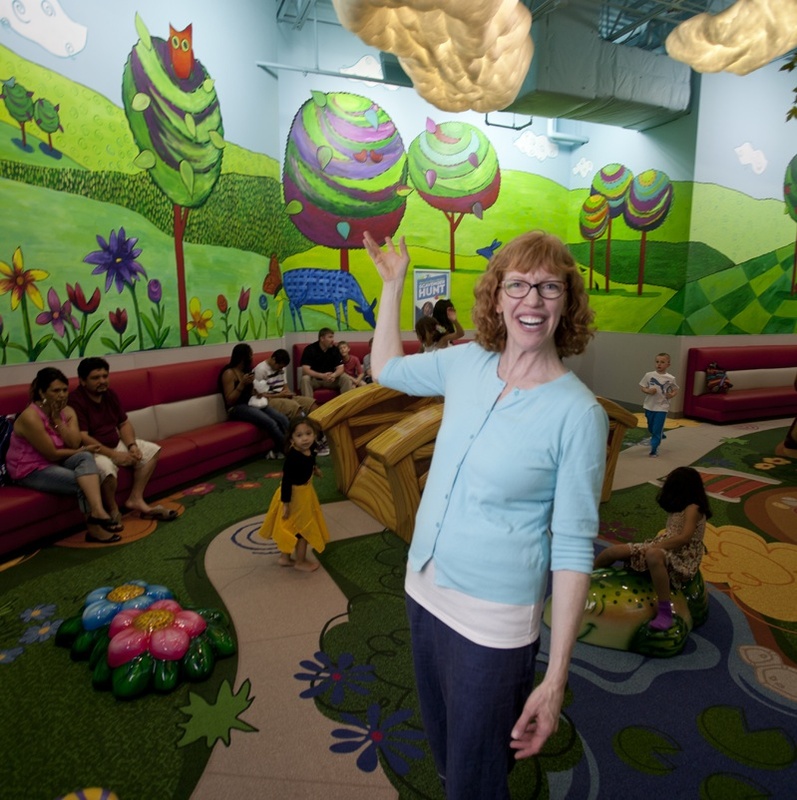 Equally successful is John’s wife, Emily Williams-Wheeler (’86 interior design), an artist and art instructor who owns Studio e. Emily took us to Fargo’s West Acres Mall, where she just completed painting a brightly colored children’s mural. Our last visit during this brief trip to the Dakotas was with Walter Bones (’73 animal science), a farmer and former South Dakota secretary of agriculture. Walt operates (along with two brothers, a brother-in-law, and three nephews) the family farm near Parker that was homesteaded by his great-grandfather in 1879. So there’s a lot of history there. We’re back in Iowa now, with stories to write, photos to look at, and more trips to plan. When Robert Antol was 10 years old, his parents bought him and his brother a cheap cardboard telescope. They viewed the moon, Jupiter, and Mars and thought, “Wow!” Bob was hooked. He soon graduated to a telescope “made of actual glass” and, as an adult, purchased a full-sized telescope with a tripod. But the telescope was bulky and took time to set up in the yard each night – and it got downright cold during the winter. Bob yearned to have the telescope fixed permanently in an observatory, perhaps in a shed with a roll-off roof, or in a dome above the garage. In the end, Bob and his wife, Barb, went with the deluxe, only-in-your-dreams version: They extended their house, constructing an attached two-story octagonal tower topped with a 16-foot domed observatory. To say this is a cool toy is a huge understatement. This observatory is beyond cool. And Bob clearly likes nothing more than showing it off. 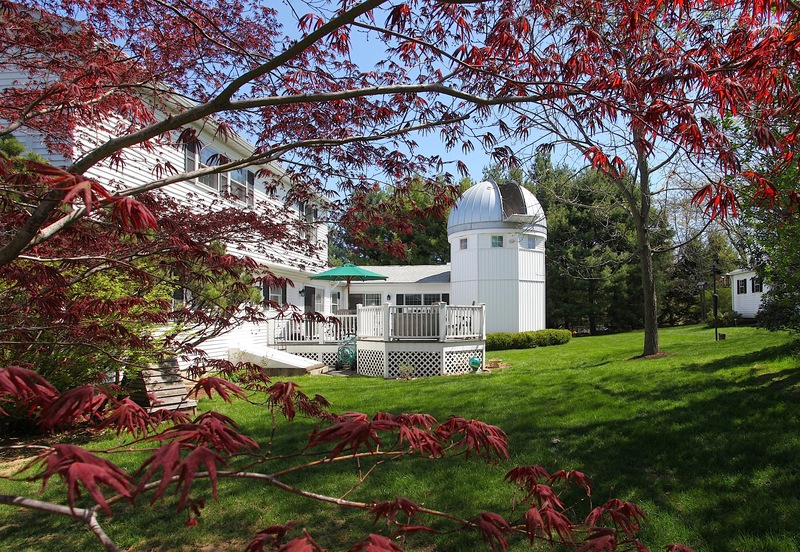 When Jim and I visited the observatory in the Antols’ home in Poughquag, N.Y., in early May, Bob cued the theme song to 2001: A Space Odyssey as he opened the metal, rotating roof. He showed us the 14.5-inch telescope mounted on a precision robotic mount. He showed us how, with the push of a few keys on his computer, the telescope automatically points to any object in the night sky. Since it was daytime when we visited, Bob let us view the sun through his solar telescope. 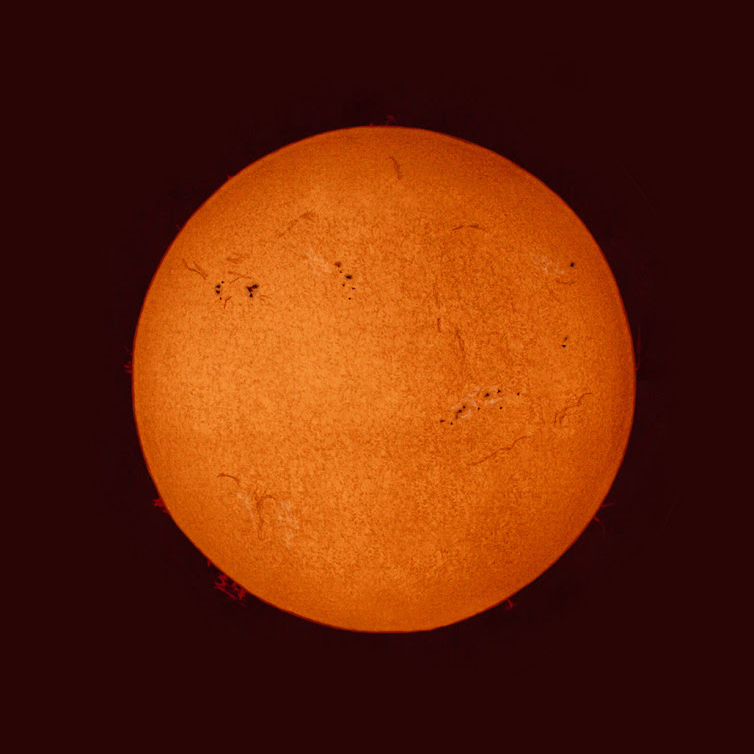 The telescope allowed us to see solar “prominences” (or flares) and the surface of the sun. “When I saw the same objects with this telescope that I’d been viewing with my old telescope, I just about fell down,” he said. Bob received a bachelor’s degree in mathematics from Iowa State in 1978, and three weeks after graduation he started to work at IBM in the state of New York. Thirty-five years later, he still works in the electronic design automation unit of IBM. Chips designed by his group are used in the Xbox and Wii game systems. 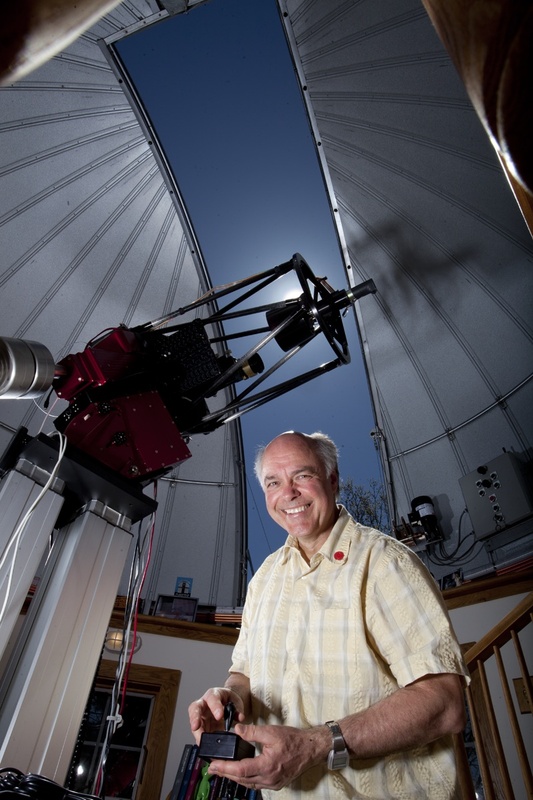 Someday, when he retires, Bob says he and Barb will have the luxury of spending long nights in the observatory, with no alarm clock waking them for work at 5 a.m.
It’s been eight years since the observatory was completed, and the Antols are still in awe. The first thing you notice about Bing Howell is his smile. The second thing is how extremely articulate he is. So it’s no surprise that at 32 years old he’s had a crazy-fast career trajectory. This is a guy on the move. As a kid, he lived in Sacramento, Calif.; Guadalajara, Mexico; and Omaha, Neb., before moving to Rhode Island to finish high school. His parents are from Trinidad and Panama, and Bing said he grew up knowing he wanted to travel. The basketball part didn’t quite pan out. The academic part was a lot more successful. Bing earned a bachelor’s degree in management information systems and international business, with additional study in transportation and logistics. Following graduation, Bing went to work for the investment banking firm Merrill Lynch in New York. “It was engaging and exciting for the first two months when there was leadership development training and onboarding,” he said. “It was exciting and engaging for the next two months after that when my project was new. But I have a tendency to learn things really, really quickly, so after the first four months on the job it became redundant. I felt a bit lacking in purpose. And then he found his passion: education. He spent time in New York as an intern with Sponsors for Educational Opportunity, a minority internship placement program that focuses on bringing minorities to Wall Street firms, corporations, investment banks, and law firms. Bing moved to New Jersey to work for the state’s Department of Education. 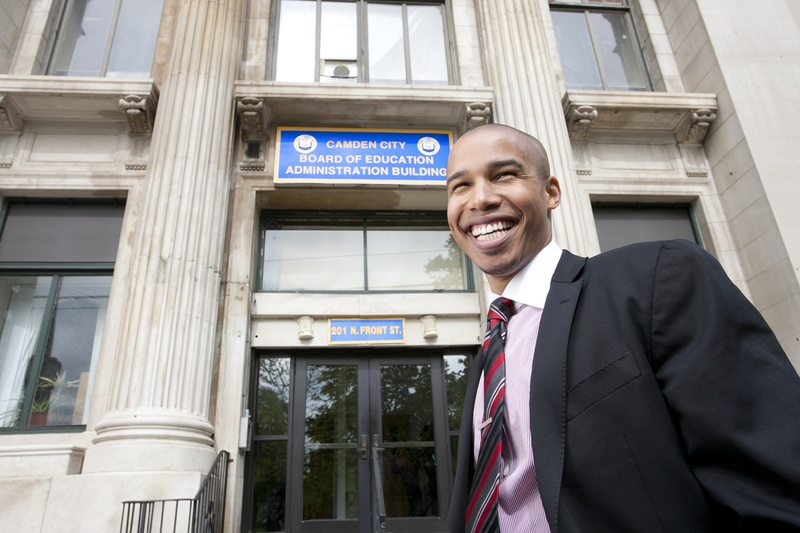 He’s worn several different hats, including human resources director for 22 of Camden’s 26 schools and manager of the Office of Portfolio Management. Bing says he chose Camden “largely because there was a huge need.” In 2011 he joined the Broad Residency – a leadership development program that places participants into high-level managerial positions in school districts and departments of education.